The seed bank will be available. Please consider bringing a plate of something to share. If anyone has excess seedling, plants or produce they’re willing to share, we’ll set up a trade table. As a volunteer organisation run for and by our members, we rely on our committee to steer our path. However, many hands really do make light work, and we welcome assistance from all members to help plan and run our activities. Committee meeting dates will be advised through this site and all members are welcome to attend. March’s committee meeting was rescheduled (now April 8th) and while the committee members were informed, the calendar wasn’t updated and it confused some members (and meant an unnecessary trip, for which we profusely apologise). If you’re planning to come along to a committee meeting please let us know so we can keep you posted if there are any changes to our plans. 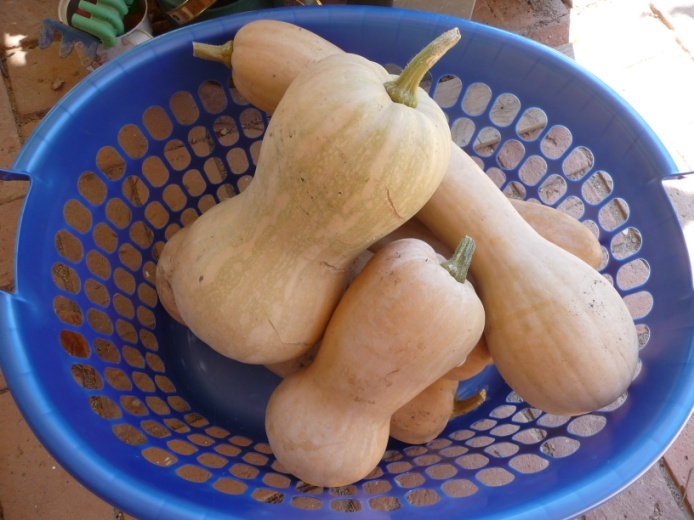 This entry was posted in Upcoming events and tagged food growing, pumpkins, seed saving by Seed Savers Albury-Wodonga. Bookmark the permalink. Loved the info on cucurbits. I had wrongly believed that they all cross-pollinate. Very interesting to learn that is not the case. Loved learning about the different seed types as well. The delicious pumpkin recipes were a real treat. Thanks to all those that made them.